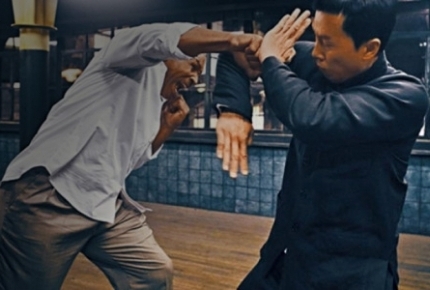 Despite debuting two months later than neighboring territories and amidst piracy fears, “Ip Man 3” shattered expectations with a $72M weekend opening at the box office in China, more than doubling the previous film’s total intake during its entire theatrical run. The third entry in the popular franchise about Bruce Lee’s martial arts teacher pulled in $24M on Friday, $29M on Saturday, and $19M on Sunday. This opening is, by far, star Donnie Yen’s biggest, besting the $50M generated by “The Monkey King” in 2014 and cementing his status as China’s leading action star. With the break even point of the film at $50M, “Ip Man 3” has already achieved profitability status after just one weekend, prompting Yen and his producers to fast-track a fourth entry. Hopefully, this one will finally pair the title character up with his most famous student Bruce Lee, which has been promised since the success of the first film and teased in subsequent installments. “Ip Man 3’s” huge box office means the end of the run for another Yen film in release, “Crouching Tiger, Hidden Dragon: Sword of Destiny,” which is finishing with a decent $39M in total box office after debuting just a few weeks ago. “Ip Man 3” also pushed Stephen Chow’s record-breaking “The Mermaid” out of the top spot after ruling the charts since the Lunar New Year. UPDATE: This impressive opening is now marred by allegations of box office fraud.